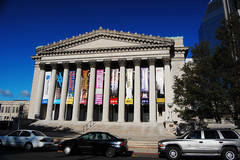 The City of Springfield, Massachusetts offers a diverse array of arts and cultural experiences suitable for families and those of all ages. One of Springfield′s best known natives is Theodor Seuss Geisel, better known to the world as the beloved Dr. Seuss, born in 1904 on Howard Street in Springfield, Massachusetts. 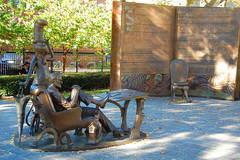 As such, one of Springfield′s top attractions is the The Dr. Seuss National Memorial Sculpture Garden located at the center of the Springfield Museums Quadrangle complex. The Quadrangle includes the Springfield Science Museum, Museum of Fine Arts, George Walter Vincent Smith Art Museum, and the Connecticut Valley Historical Museum, Museum of Springfield History. Another unique attribute in downtown Springfield is the Springfield Symphony Orchestra. The Springfield Symphony Orchestra performs at Symphony Hall, a 2,611-seat venue home to Broadway-style theatre, top-quality children’s programming, internationally-recognized speakers and numerous concerts and performances. Built in the early 1900s, the historic building underwent an extensive renovation in the fall of 2004. Symphony Hall has played host to acts such as Jerry Seinfeld and a host of theatre performances such as Rent and Chicago. CityStage hosts Off-Broadway comedies, dramas and musicals presented October through April in the intimate, 487-seat Blake Theatre. 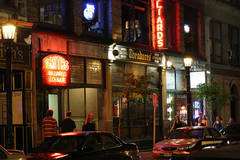 In addition the 70-seat Winifred Arms Theatre is host to numerous community events, performances and meetings. The area also offers many sporting opportunities. 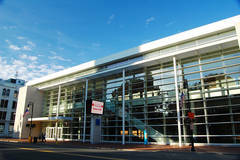 The Springfield Thunderbirds, a professional hockey team, play at the MassMutual Center which also can host conventions and music concerts. 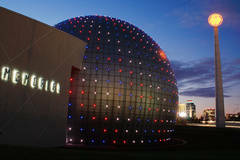 Nearby is the Naismith Memorial Basketball Hall of Fame complex and a new $17 million L.A. Fitness facility with a restaurant and sports medicine facility under construction on the riverfront, all located right off of I-91 and within walking distance from Court Square. Local universities also offer many different sports for both men and women.